that’s not me saying that—just ask Google, speakers and event organizers across the globe coaching. I’ve trained over 120 TED & TEDx speakers around the world. 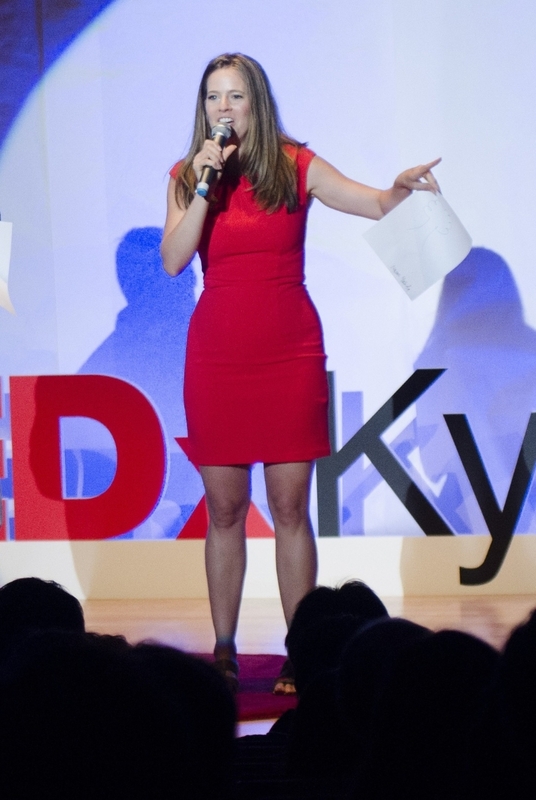 As the Head Speaker Coach for multiple TEDx events, I make sure our speakers connect, engage and move audiences. As an international speaker, I’ll show you how my clients and I get booked to speak without having all the things a speaker is “supposed” to have such as expensive headshots, over-the-top speaker pages, all those extra things that stop you from doing what you are meant to do: sharing your message with the people who need you most. You are starting off and this will give you the right steps to get booked to speak both on-stage and online .... as you. Just as you are. I’m also a Professor of presentations skills, having authored 2 university textbooks on presentation skills and published in 3 academic journals on communications. You may have seen my weekly communications TV show on NHK or FOX TV. So, I get where you are coming from as a speaker. I spoke at the TED Worldwide Talent Search, 4 TEDx events, and I speak globally both on-stage and online. “How to speak so people will listen?” Soness Stevens, a communications researcher and practitioner asks, “How to listen so people will speak?” In this TED talk, learn how to become a better listener. Listening skills through active listening, compassion, and Hello Kitty! Miscarriage: what do you say? What to say when a friend has a miscarriage? 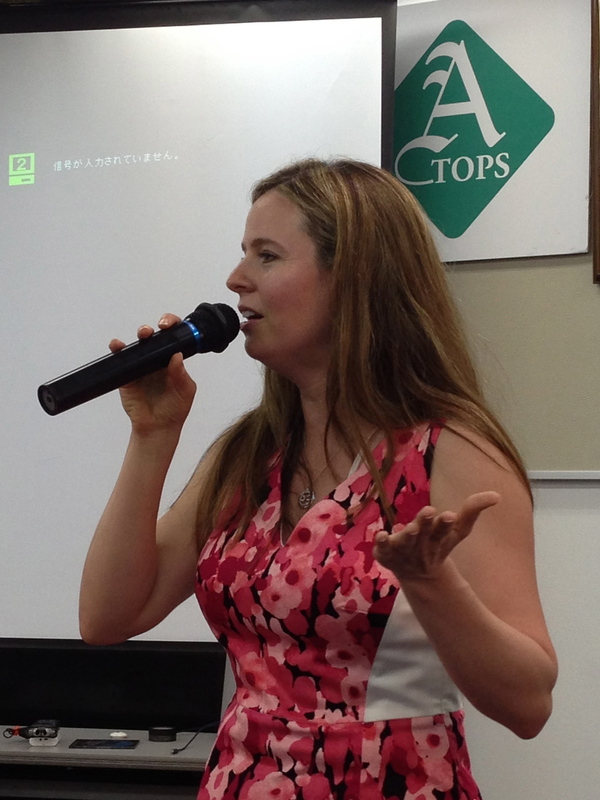 Soness Stevens is a global communications practioner and researcher. In this TED talk on miscarriage, Soness shares the voices of 600 women suffering losing a baby of what to say and what not to say. 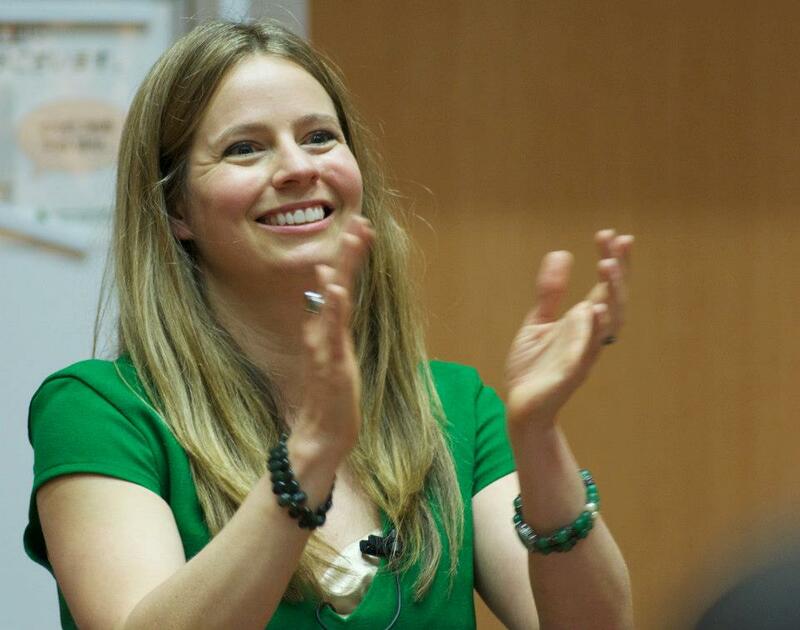 Soness Stevens is a TED Global & 4-time TEDx speaker, coach to 115+ TED & TEDx speakers, and communications practitioner. Her stories move audiences from laughter to tears to standing ovations. Her TEDx talk on “Have You Ever Felt Heard?” received two standing ovations. Her TEDx talk on “Miscarriage: What do you say?” changed dialogues on grieving loss whether it’s the loss of a baby, hopes, or identity. Soness is a three-time published academic. Her communications research revolutionized the university system at YNU instilling autonomous learning and interactive teaching. Soness speaks around the world from North America to Asia to the Middle East at events, including McKinsey, Disney, World Family, NHK, FOX, Google, Mobile World Congress, TED, TEDx, Softbank, Good Life Project, National Digital Design Conference Pakistan. Watch Soness’s nationwide weekly broadcast communications TV show on NHK TV or previously on FOX Japan. Soness is the official English voice of Hello Kitty. She lives near the beach and practices Zazen Meditation at her local temple in Japan. Soness Stevens’ talks at the November FEW meeting and shared her secret weapon to connect and engage audience authentically. Curious what she empowers her speakers before they go on stage? Click here to read on the full details. Great leaders have to be great listeners. Same holds true with great relationship makers. In a world where everyone is vying for attention, the genius is in being able to hear. What if your message, your idea worth spreading whether on the TED stage, the office or your clients was being lost? It’s not a language thing. It’s about the deeper connection. Soness shares4 basic elements you need to remember to communicate effectively with any audience–whether it’s global like TED or as close as your next door neighbor to connect and engage with anyone. What’s your idea worth spreading? How do you get to speak at TED? Soness Stevens gives you a Roadmap to TED: everything you need to take your spark of an idea to get booked to speak at events. You’ll learn what makes an idea worth spreading, create a clear and concise concept, and gain confidence in your idea to the audition stage. What makes a talk engaging? The power of story, of course! Or is it? Everyone talks about the hero’s journey. But the story is simply a vehicle to move from point A to point B. The Power of Emotion is the fuel to drive your story. Whether you are preparing for your TEDx talk, connecting with others over lunch or networking, you’ll learn simply powerful techniques to captivate. Having difficulty deciding how to streamline your ideas? Do you have difficulty making decisions? Research shows cognitive benefits for bilinguals--especially in decision making. When you are having second thoughts, let this easy process simplify your life. Go Against the Grain: remove labels and find creative solutions! Searching for creative solutions? Remove the labels. The impossible become I'm Possible.